"There's no such thing as evil, son. There's just people doing good and bad to each other." 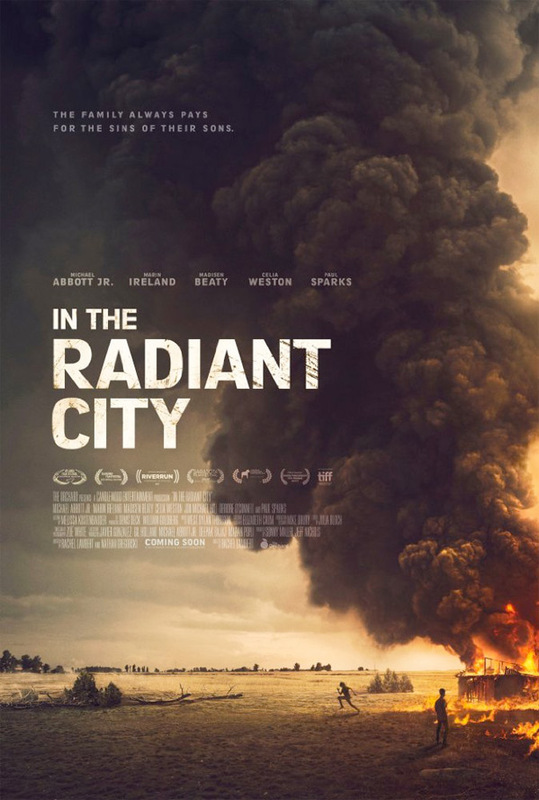 The Orchard has debuted a trailer for indie drama In the Radiant City, which premiered at the Toronto Film Festival last year. The film is the feature directorial debut of Kentucky native Rachel Lambert, and it's set in Kentucky, about a man who returns home only to find his family is still haunted by the stigma of a murder his brother committed years ago. The cast includes Michael Abbott Jr in the lead role, along with Marin Ireland, Madisen Beaty, Celia Weston, Jon Michael Hill, Deirdre O'Connell, and Paul Sparks. This film is produced by fellow filmmaker Jeff Nichols, and it also has one of the best posters this year (as seen below). A man (Michael Abbott Jr., seen in Mud, Loving) returns to rural Kentucky where his family, fragmented and haunted, still carry the stigma of a murder his brother committed twenty years ago. In the Radiant City is directed by American filmmaker Rachel Lambert, making her feature directorial debut after also co-directing the music short Kin in 2012. The screenplay is written by Rachel Lambert & Nathan Gregorski. This first premiered at the Toronto Film Festival last year, and also played at the Stockholm, Cleveland, and Seattle Film Festivals as well. The Orchard will release Lambert's In the Radiant City in select theaters sometime later this year. Stay tuned for an exact release date if you're interested. So what do make of this?